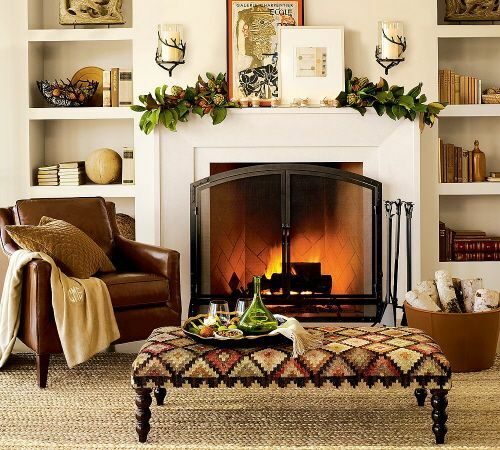 4 ways to add texture and warmth to your space! Have you ever noticed, the more texture a room has, the more time you want to spend in it? Well, I have! Texture creates interest and can easily be added to existing decor. From walls, furniture, accessories, floors or pillows, you can add texture in a number of ways. Here are 4 of my favorite techniques for adding texture to create a cozy, welcoming feeling in any home. Architecturally - This is sometimes pricey, but well worth it if you can work it into one or a couple rooms! Examples are Brick or stone walls & fireplaces, wooden ceiling beams or mantles, ship-lap, board and batten or panaling on walls, coffered ceilings, built in shelves or bookcases. 2. Furniture - You can have fun and create texture by adding in furniture of varying or unexpected materials, such as a leather bench or sofa, a velvet side chair, a tufted ottoman or even a concrete top coffee table! Have fun, and don't be afraid to mix it up a bit. 3. Pillows, throws, curtains, oh my! You can really change a room by paying attention to these often forgotten pieces - and with very little expense. Stick with sheer, light and soft fabrics for your pillows and throws in the spring and summer, then create warmth by layering in velvet and fur in the fall or sparkle for the holidays. And don't forget your windows! Layering windows is one of my favorite ways to add texture. Hang bamboo roman shades under velvet panels to add softness, or add a patterned window panel to create interest to a room. You really don't have to spend a lot to create an cozy environment. 4. Accessories - can we all just take a moment to thank the Good Lord above for Homegoods? This store has made accessorizing any home, regardless of the style, so much easier. In addition to being affordable, the folks at Homegoods separate the decor into different types of styles or different rooms. Whether your look is traditional, modern farmhouse, beach, modern or eclectic, they have it all. That being said, there is no excuse for not having a wide variety of accessories in varying textures to help add interest, depth and personality. So have some fun! Set a sparkly candle holder on a reclaimed wood tray or layer some antique boxes with a sparkly mirror. It's OK to mix it up- but don't forget the greenery and flowers to bring life into the room. For those of you who have more of a "black" thumb as opposed to green one, there are some amazing faux plants and flowers to choose from. Anything with a patina, either aged or new adds instant warmth and texture. Try visiting antique stores or flea markets for some fun treasure to add to your home. 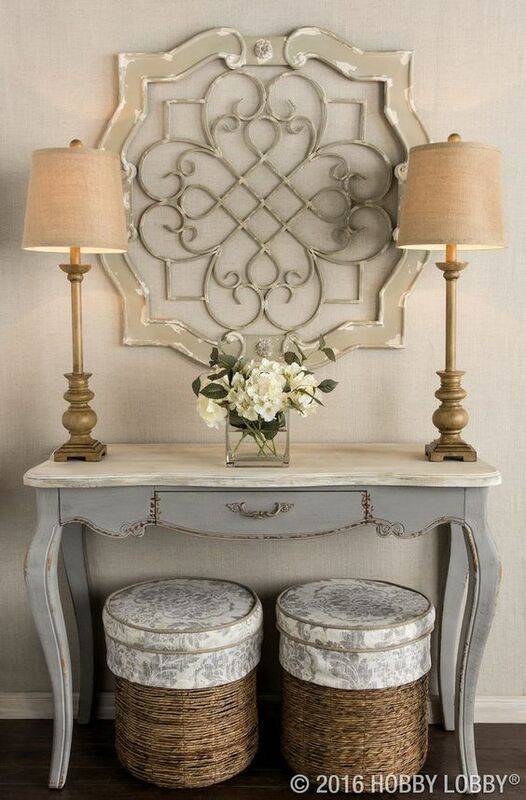 Basic rule of thumb, if you love it, it will look perfect in your home, I promise! And most importantly, you will LOVE WHERE YOU LIVE!